Young adults aged 18 to 20 are often caught in the middle when they cruise. They are too old for the organized youth programming onboard that is capped at age 17, but not yet legally able to drink at age 21. For these reasons, some families might be tempted not to cruise together if their kids fall in this age bracket, worrying that the older teens won't have fun (or will get into mischief with underage drinking). I cruised with my 18-year-old daughter before she left home for college, and not only was she great company for me, but she had a blast. On the first night of our Pride of America Hawaii cruise, she attended an “ice-breaker” event for all the 18- to 20-year-old men and women aboard (mostly college students aboard with parents). Afterward, she said they planned to meet up every night. While I caught a variety show, socialized with new friends or enjoyed lounge entertainers, she hung out with teens her age at supervised parties, swim events, socials and dances. 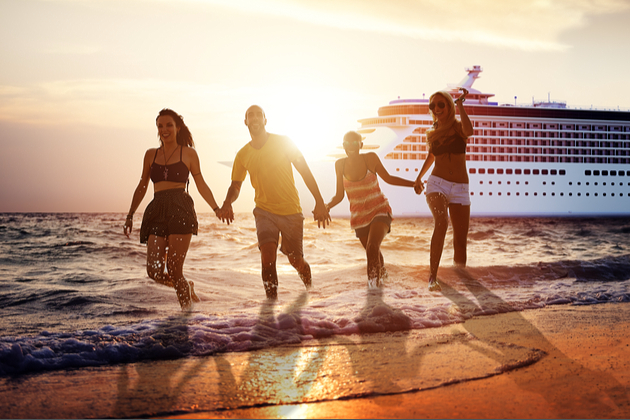 If you're considering a family cruise with older children, or are an under-21 thinking about a vacation at sea with friends, here's what you need to know about how cruise lines bring 18- to 20-year-olds together and offer them tons of fun onboard. Most likely, young adults in this age bracket will be traveling with their families, as most lines don't let under-21s sail by themselves without a chaperone who is 21 or older. That means, unless teens are cruising with older friends or in a group with adult chaperones, they need a way to meet the other young adults onboard. Some lines step up with scheduled mixers for this age group. Disney Cruise Line offers a special event for travelers ages 18 to 20 -- known as the 1820 Society -- to get to know one another at the beginning of the cruise. Taking place in the adults-only Cove Cafe, the event is called “Stir it. Taste it. Blend it.” Participants learn how to create specialty coffees; sample coffee, chai latte and smoothies; and plan group activities for the rest of the sailing. A crew member that is dedicated to coordinating older-teen events hosts the gathering. Activities can include music challenges, karaoke, basketball free-throws, dodge ball and ice cream socials. Likewise, Celebrity Cruises realizes young adults want their own fun. Across the fleet, there is an onboard program called Gen NXT, which offers a mix-and-mingle, ice-breaker-style event on the first night following embarkation and then various tournaments, challenges and gatherings throughout the cruise. Some activities Celebrity Cruises offers for 18- to 20-year-olds are Pool OlympiX, which include water-based competitive activities, such as pool volleyball tournaments, life-raft challenges and relay races; behind-the-scenes tours of entertainment areas; trivia games relating to pop culture and music; and sports tournaments. Many 18-, 19- and 20-year-olds like nightlife where they can socialize and dance. Most cruise ship discos are 18-plus, so older teens can hang out even if they can't drink. Live music and karaoke are also staples on cruise ships. On MSC Cruises, for example, the line's international clientele means the discos are rocking until 3 a.m. and evening events last long after the late-dinner seatings have ended. The line also caters to this young adult age with multiple bands in various venues, late-night movies and gelato near the pool. 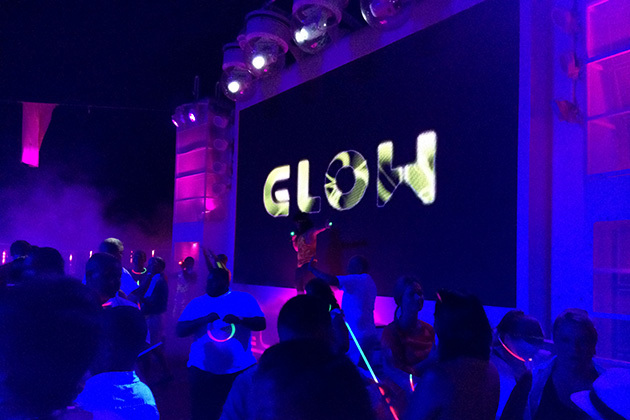 Norwegian Cruise Line’s all-ages White Hot Party -- which has evolved into the Glow party on its newer ships Norwegian Breakaway, Norwegian Getaway and Norwegian Escape -- is offered once each cruise, and passengers and are invited to wear their favorite white outfit and dance under the stars for a night of high energy fun. Also, the line's '80s party is very popular among teens and young adults. The cruise staff leads the fun in full throwback attire and rocks out to '80s classics. After dancing, Norwegian Epic, Norwegian Breakaway, Norwegian Escape and Norwegian Getaway offer mini-bowling lanes at O’Sheehan’s. 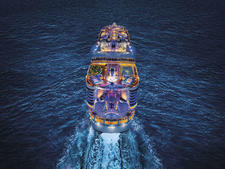 College-age kids who prefer live music will enjoy Royal Caribbean's Music Hall on Anthem of the Seas, featuring dancing to cover bands; the rock 'n' roll dueling piano show Howl at the Moon on select Norwegian ships; and Holland America's Music Walk, featuring Memphis-style blues at B.B. King's Blues Club, popular hits at Billboard Onboard and classical music at Lincoln Center Stage. Carnival is also known for having solo artists, duos and bands perform throughout its ships. Parents should note that a few lines allow 18- to 20-year-olds to drink alcohol in international waters if their parent or adult guardian signs a waiver form. This is a personal decision for families. 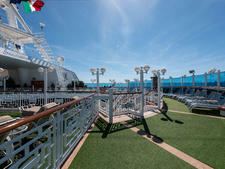 For example, all Norwegian ships feature a sports and recreation complex onboard. Norwegian Escape features a three-story ropes course with two planks (jutting out over the water) and five sky rails (rigid zip lines). Friends can also enjoy a game of bocce ball or a round of mini-golf, or even perfect their jump shot during a friendly game of basketball. The ship also features a rock climbing wall. Norwegian Breakaway and Norwegian Getaway each feature a ropes course as well. On Royal Caribbean's Oasis-class ships (Oasis, Allure and Harmony of the Seas), passengers can seek thrills on a zipline, soaring across an open-air atrium suspended nine decks above the ship’s Boardwalk. This class of ships also features two FlowRider surf simulators, two rock climbing walls and the Ultimate Abyss, the tallest dry slide at sea. Sister ship Anthem of the Seas even has an indoor skydiving experience. Carnival Vista has fun outdoor attractions for the college-age set with the SkyRide, an elevated recumbent bike ride; a small ropes course; outdoor billiard and foosball tables (and a Twister board painted on deck); and even alfresco cardio and strength training machines. Indoors, its SportSquare Clubhouse offers mini-bowling, Ping-Pong, an oversized billiards layout on the ground (which you play using small soccer balls) and sports video gaming. Water adventure is part of what young adults enjoy. 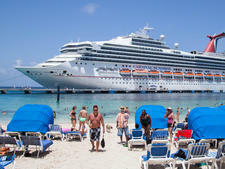 All Carnival ships have at least one water slide, if not a larger water park. Norwegian Escape features a huge at-sea Aqua Park, which includes four multistory water slides, two pools and four hot tubs. Slides include the Aqua Racer, Norwegian's first tandem water slide at sea, and Free Fall, the fastest water slide at sea. For those who prefer a more relaxing ride, there is a family-friendly open-flume body slide. Norwegian Breakaway, Norwegian Getaway and Norwegian Epic also have expansive Aqua Parks. College students might be young at heart, but they don’t always want to be swimming or lounging in the sun with the little kids. So they're bound to be pleased with cruise ships that have adults-only sun decks and swimming pool. 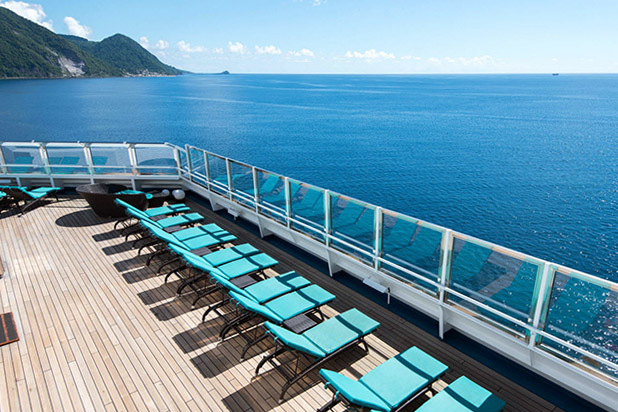 For example, at Carnival's Serenity, an 18+ sun deck found fleetwide, young adults can sleep, finish that book or do absolutely, blissfully, nothing without interruption. Disney has its Quiet Cove Pool and Satellite Falls sun deck and Royal Caribbean its Solarium -- with pools, hot tubs and lounge space -- just for adults. To take a break from the sun, mother/daughter days are a great bet at the spa -- another grown-up haven. Get side by side mani-pedis or hair and makeup for formal night, or maybe mom wants to treat her older teen to a massage or facial on her own. MSC Cruises' Aurea Spa even offers “taboo tattoo” -- tribal symbols, floral designs, signs of the zodiac or other images are stenciled painlessly on skin in a nontoxic and non-permanent way. A general tip is that spas offer price breaks on port days and the occasional "pampering party" sampler package. 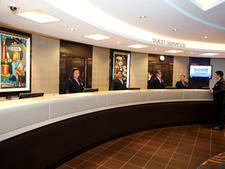 In addition, Disney Cruise Line has the Cove Cafe coffee shop, with a no-kids-allowed policy. Older teens have their own personal interests, which parents should take into consideration when looking at onboard entertainment and programming available on the ship they're considering. 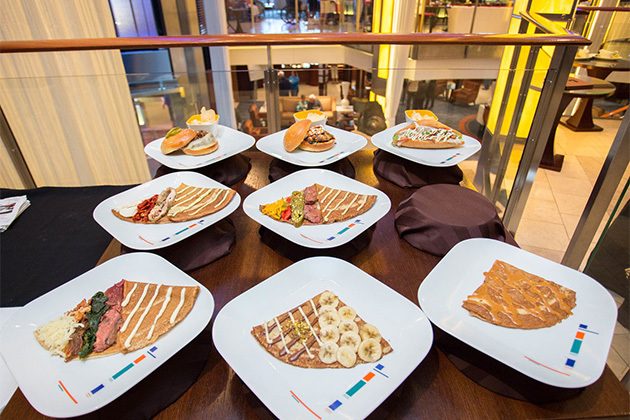 For example, Holland America offers select activities for 18- to 20-year-olds traveling with their families, which include America’s Test Kitchen workshops and cooking demos and trivia games. Princess Cruises partners with Discovery Communications to offer stargazing at sea, presentations on the culture or natural world of the cruise region and MythBusters activities that could interest some teens. In addition, Princess has introduced "Voice of the Ocean," a takeoff on NBC's "The Voice" that appeals to young adults who watch the show and like to sing. Onboard Regal and Royal Princess, the Princess Live Theater, a TV-studio style venue, hosts game shows, karaoke, informative lectures and other entertainment that appeals to a younger demographic. During peak weeks -- summer, holidays -- venues like Princess Live offer more programming (such as games and mixers) targeting the 18-to-20 age group. Older teens who enjoy comedy and shows get excited about Broadway musicals, such as "Grease," "Mamma Mia" and "Rock of Ages" on lines like Norwegian and Royal Caribbean. Royal Caribbean also offers some unique entertainment, appealing to 18- to 20-year-olds, including AquaTheater acrobatic and diving shows, aerial shows in certain ship's atrium areas and multimedia, high-tech music/dance/video extravaganzas in Anthem of the Seas' Two70 venue. For young adults who enjoy stand-up, the Punchliner Comedy Club, fleetwide on Carnival Cruise Line, offers both family shows and late-night shows for audiences 18-plus. A few Royal Caribbean and Norwegian ships have dedicated comedy clubs; Norwegian also brings Second City improv comedians on several ships.